Keynote1: Software Productivity Decoded: How Data Science helps to Achieve More (by Tom Zimmermann) => Slides Here!! 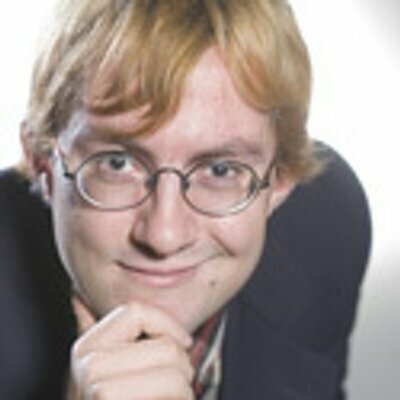 Thomas Zimmermann is a Senior Researcher in the Research in Software Engineering group at Microsoft Research, Redmond, USA. His research interests include software productivity, software analytics, recommender systems, and games research. He is best known for his research on systematic mining of software repositories to conduct empirical studies and to build tools to support developers and managers. His work received several awards, including Ten Year Most Influential Paper awards at ICSE’14 and MSR’14, ’15, and 17′, five ACM SIGSOFT Distinguished Paper Awards, and a CHI Honorable Mention. He currently serves as Program Co-Chair for ICSME 2017. He is Co-Editor in Chief of the Empirical Software Engineering journal and serves on the editorial boards of several journals, including the IEEE Transactions on Software Engineering. He received his PhD in 2008 from Saarland University in Germany. His homepage is http://thomas-zimmermann.com. Keynote2: New Software Engineering Challenges in the Digital Transformation era (by Dieter Rombach) => Slides Here!! Abstract: Digital transformation involves the creation of new business models based on communication among all “things” and effective use of big data. This revolution affects all sectors of industry (e.g., industry 4.0) and society (e.g., health, energy) as well as private life (e.g., mobility). The resulting systems of systems pose completely new software engineering challenges such as complex open systems of systems with heterogeneous development environments, integration of safety & security issues, or runtime adaptivity. In addition, big data analytics – offline vs. online – is used to better guide development. This presentation surveys these challenges as well as ongoing research & development activities to address these challenges. Prof. Dr. Dr. h.c. Dieter Rombach has held the Software Engineering Chair in the Department of Computer Science at the University of Kaiserslautern, Germany, since 1992. He was the Executive Director of Fraunhofer IESE from its foundation in 1996 until 2014 and became Director Business Development of Fraunhofer IESE and Deputy Chairman of the Board of the Science Alliance Kaiserslautern in 2015. 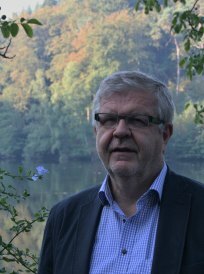 He is a member of the Gesellschaft für Informatik (GI) and a Fellow of ACM and IEEE Computer Society. He has authored more than 200 scientific publications, received numerous awards, and serves as scientific advisor to business, industry, and government. From 1984-1991, he was Professor of Computer Science at the University of Maryland, and from 1986-1991 he was Project Manager at NASA/Goddard Space Flight Center. Prof. Rombach’s main research topics can be found in the area of “Software Engineering”, especially in methods for developing software with predictable quality, in quantitative methods for measuring and assessing software products and software processes, in languages and methods for developing and using explicit software process models, in process-based software development environments as well as in software reuse. As a consultant, he works for various U.S. American and European companies. In 1990, Prof. Rombach received the “Presidential Young Investigator Award” from the National Science Foundation (USA) “in recognition of his successful work in the area of Experimental Software Engineering”. For his exceptional services rendered to the state of Rhineland-Palatinate and his exemplary commitment to the good of society, he received the Order of Merit of the state of Rhineland-Palatinate in late 2000. Effective 1 January 2003, Prof. Rombach was appointed Fellow of the American Institute of Electrical and Electronics Engineers (IEEE) in recognition of his achievements in the area of Experimental Software Engineering.